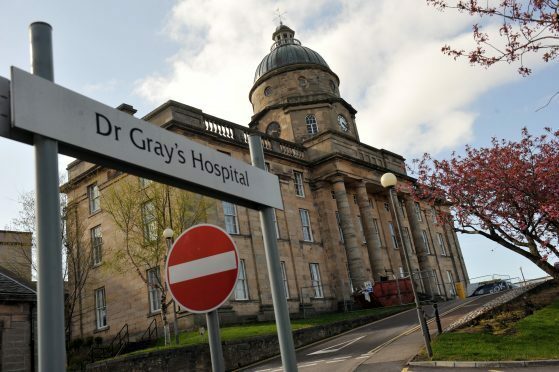 NHS Grampian has been criticised for leaving “unanswered questions” following a public meeting about the downgrade of Moray’s maternity unit. About 150 people packed Elgin Town Hall this week to press health bosses on what action will be taken to ensure babies continue to be born safely. However, following the talks, campaign group Keep Mum and Moray MP Douglas Ross described the event as a “disappointment”. Amanda Croft, acting chief executive of NHS Grampian, repeatedly apologised for the downgrade – stressing it was a decision that “nobody wanted to take” but explained it was unavoidable following five years of “sticking plaster” solutions. Yesterday the Keep Mum group described the event as a missed chance for the health authority to ease concerns. A spokeswoman said: “The meeting was very disappointing. The panel frequently did not answer questions, hiding behind official speak. During the meeting, NHS representatives apologised for not making the situation clearer and made themselves available after the event to answer questions individually. Last night, Mr Ross described the tone of the talks as “unwelcome” – and has now written to the Scottish Government to ask if any support was given to the NHS to avoid the situation. He said: “I felt the NHS managers seemed to skirt round the issues. Moray MSP Richard Lochhead praised the “huge attendance” at the event. He added: “This sent a powerful signal to health bosses about the community’s strength of feeling and determination to have the services restored. The Scottish Government was asked to comment.